Some things are just too perfect. After last year's successful comics featuring DC Comics characters meeting classic Hanna-Barbera creations, the publisher is at it again with a new crop of specials out this May. 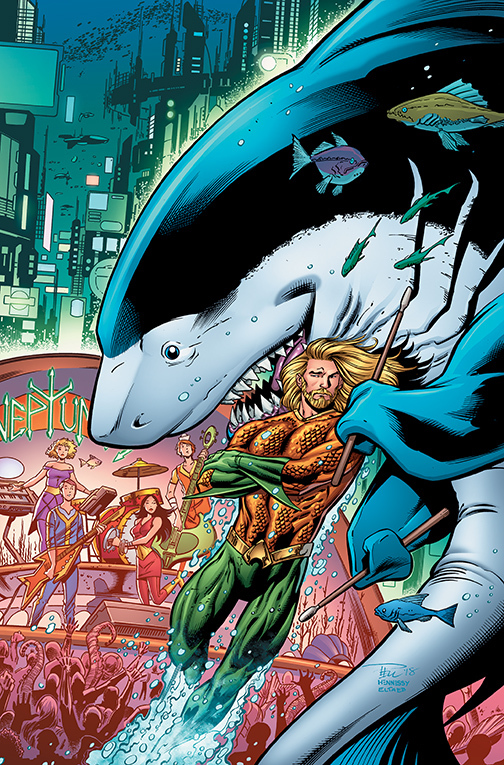 Peter J. Tomasi's Super Sons will have an adventure with Dynomutt, which is just a great idea, but the real gem is Aquaman meeting Jabberjaw. That... that's just beautiful. THE WORLDS OF DC AND HANNA-BARBERA COLLIDE AGAIN ON MAY 30! BURBANK, CA (March 15, 2018) – Following the success of DC’s modernized takes on classic Saturday morning cartoons and a previous selection of acclaimed one-shot crossovers featuring Hanna-Barbera cartoon characters, DC plans to shake up the worlds of superhero fans and lovers of old-school cartoons yet again. 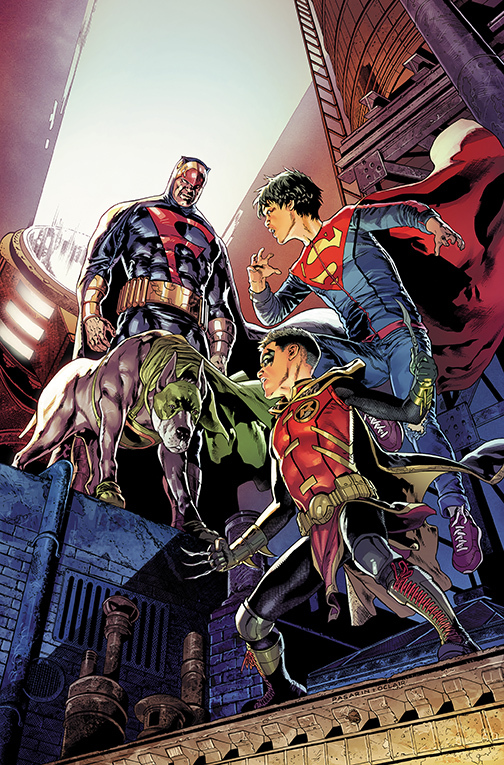 Today, the publisher announced plans to release four all-new one-shot comics that bring some of DC’s most exciting heroes together with well-known characters from the world of Hanna-Barbera cartoons from the 1970’s. These books will be available at comic book retailers and for purchase digitally on May 30. Inspired choices all, really. 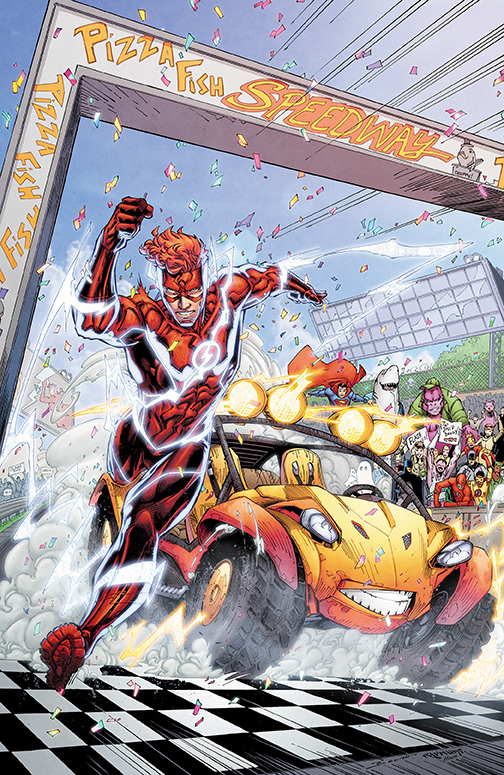 Flash and Speed Buggy? Amazing. And holy crap, Captain Caveman meeting both the Spectre and the wizard Shazam?! I really, really love comics. All four specials will hit comic shops and digital retailers on May 30. Check out the gallery below for the covers for all four books.